A full line of calibration tags and inspection labels offered in custom shapes, sizes, and colors including self-laminating types are available from Nameplates For Industry, Inc. (NFi) of New Bedford, Massachusetts. NFi Calibration Labels can be produced to exact customer requirements for tracking data in all types of quality management systems and can include self-laminating protective film and tamper-proof construction. Featuring various shapes, sizes, colors, barcodes, type styles, and images, these inspection tags are custom made from Mylar® and incorporate 3M adhesives. Designed to adhere well to a wide range of substrates including powder coat finishes and LSE plastics, NFi Calibration Labels are suitable for indoor and outdoor applications and can be supplied in sizes from 1/2” square or round and up. Applications include recording calibration data, inspection reminders, and maintenance and service repair records. 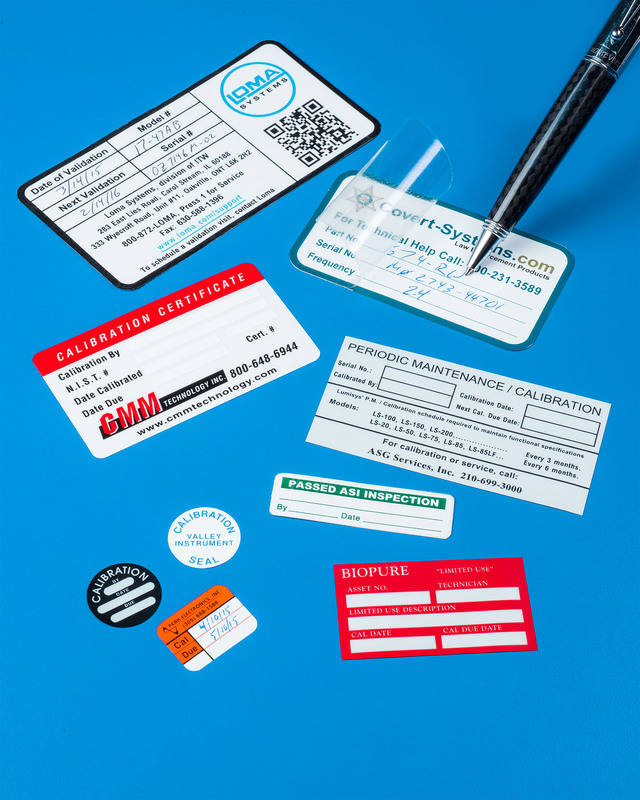 NFi Calibration Labels are priced according to construction and the company offers a Prototype Program to receive 10 pieces in 3-5 working days without any set-up charges. Price quotations are available upon request.